With the rolling of time, the human race is gradually unfolding more and more, radically advancing towards a whole new dimension. Today, it is the inventions that have become the prime focus in most of the industries at present. Pharmaceutical, automotive, and information technology are some of the industries that have undergone immense evolution in recent times. Individuals of the present era are bestowed with facilities, amenities, and conveniences that were unthinkable even a few years ago. 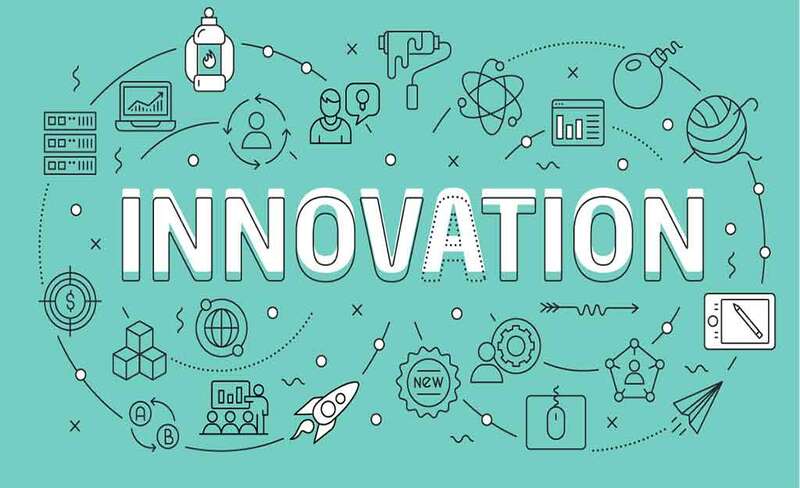 The success of most of the giant brands is based on research, development, and inventions today with innovation proving to be the strongest weapon to breakthrough this competitive environment of business. The present year, 2018, has been a significant one to embrace new inventions with open arms. In this article, let us take a glimpse of the top innovations that have taken birth in the year 2018. 3-D Metal Printing: 3D printing has certainly been a familiar concept so far. But 3D Metal Printing has surely snatched the attention of manufacturers, designers, engineers, as well as the concept artists, encompassing almost all industries. The particular technology is capable of printing an object by creating lighter, stronger parts, and complex forms that aren’t feasible with conventional metal fabrication methodologies. Duelling Neural Networks: A Ph.D. student at the University of Montreal was the first one to hit on this marvellous idea during an academic debate. The particular approach known as a Generative Adversarial Network (GAN) involves two neural networks that are trained on the same data set. Forecasts say it can turn out to be so progressive at generating images with the time that the differentiator cannot spot fakes. Precisely, the generator has been trained to identify and create realistic-looking images of pedestrians. This technology is a boon to the existing notion of AI and can aid machines to produce results that can even fool human’s minds. Artificial Embryos: Artificial embryos are one of the most recent creations of scientists that are made out of stem cells right from scratch. Embryologists of the University of Cambridge, UK have developed realistic mouse embryos only with the help of stem cells. There is no involvement of sperms and/or eggs. The creation proves how beautifully and perfectly stem cells can self-organize themselves perfectly. Scientists are predicting that soon the world can have mammals born without an egg at all. Advanced Genetic Predictions: The genetic predilection to specific ailments or personality traits is not the outcome of a single gene but, in fact, a blend of genes functioning together. Geneticists are amassing data to gather what is known as polygenic risk scores, which can evaluate the risk of a person being vulnerable to a particular disease. Polygenic risk scores is a much more accurate approach to Genetic Predictions that can help patients to attain much early diagnosis. If predictions are performed right from the beginning, children can be treated based on the possible ailments that they are likely to face. This solution is also a bliss for the pharmaceutical companies for coming up with target specific medical drugs. True Internet Privacy: Thanks to the zero-knowledge proof which is an emerging cryptographic protocol that the true internet privacy will finally come into the picture now. Researchers have invested time and effort into it for decades and it has finally flourished now. The tool helps you to verify that you are an adult without disclosing your date of birth or even prove that you have adequate finance in the bank for a transaction without revealing your balance or any other eminent information. This technology can drastically cut down the risks of cyber theft, data theft, and privacy breach. This technology has been twiddled with for a long time but is now being expected to come into action, thereby limiting ninety-percent of cyber risks. Quoted by none other but the globally renowned American business magnate and investor, Steve Jobs, ‘Innovation distinguishes between a leader and a follower.’ The twenty-first-century era significantly demands leaders or trendsetters over followers in order to reach the peak of success. It is up to you whom you envision yourself as in the near future. Modern industries are seeking talents who possess the courage to uncover new ideas and notions apart from mere stereotypical job roles. The Indore Institute of Science and Technology is a legendary name in the world of education that has been the home to ambitious young minds. We at IIST, with our strong industrial tie-ups, state-of-the-art training, contemporary knowledge impartation techniques, and definitely the highly experienced faculty group have been producing professionals who can truly contribute to the talent-yearning world out there. Apart from this, IIST, being one of the best private engineering colleges in MP, maintains a dynamic environment where young aspirants can attain the comfort of learning in their unique ways and explore their own dexterity, artistry, and versatility, all at the same time. Being old souls in the craftsmanship of knowledge impartation, we look forward to enduring our ever-progressive journey in new and better ways reaching out to talents with piles of dreams in their eyes and hopes in their hearts.